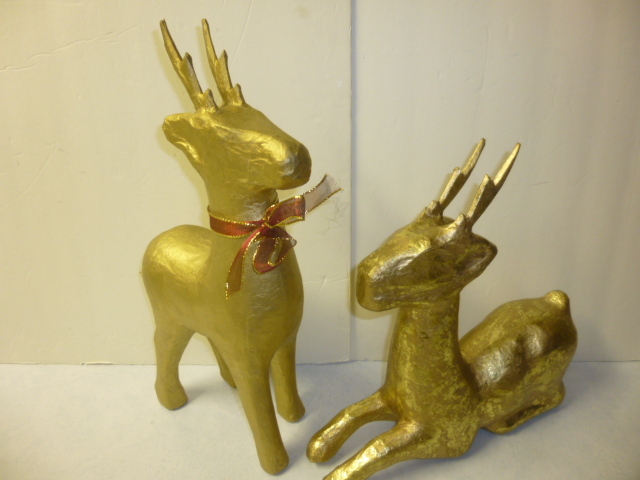 Some BABY reindeer to go with the big ones I already have! I packed away the bigger ones already, so I can’t show you the size difference, but these are about half the size! Now I’ll have a whole HERD of deer for next Christmas. 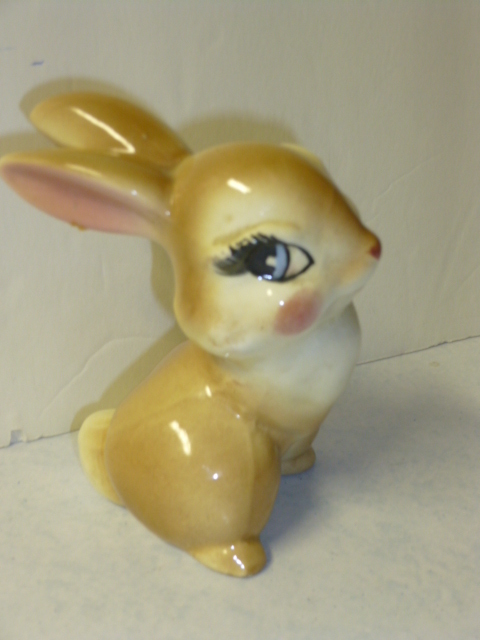 Doesn’t this look like “Trumper” from Bambi??? It’s a small figurine. 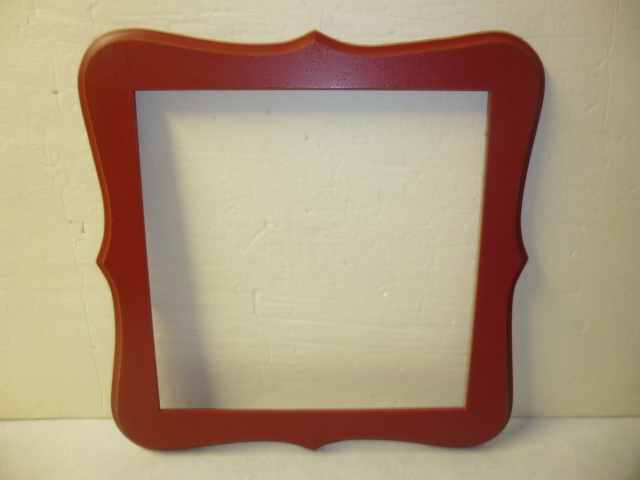 Found this frame already painted red. Love this particular shape! 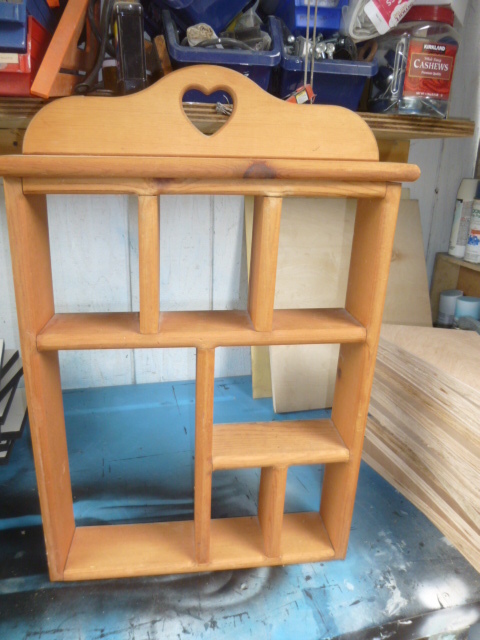 Thinking I might make a small “love” banner to hang across it. 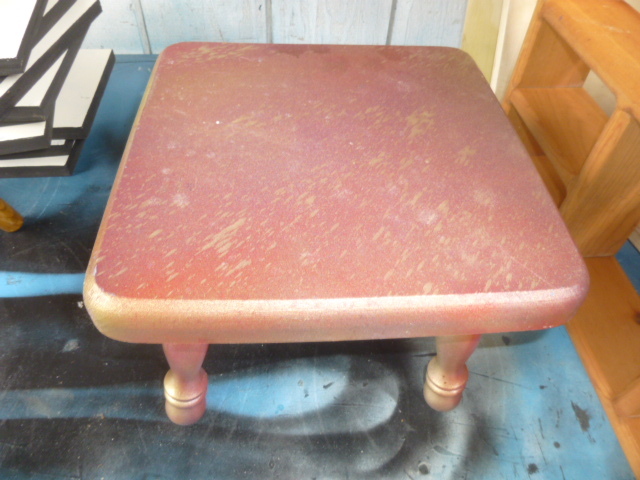 This little stool has the UGLIEST red/gold/purple spray paint job I think I’ve ever seen! Nothing that I can’t easily paint over though! 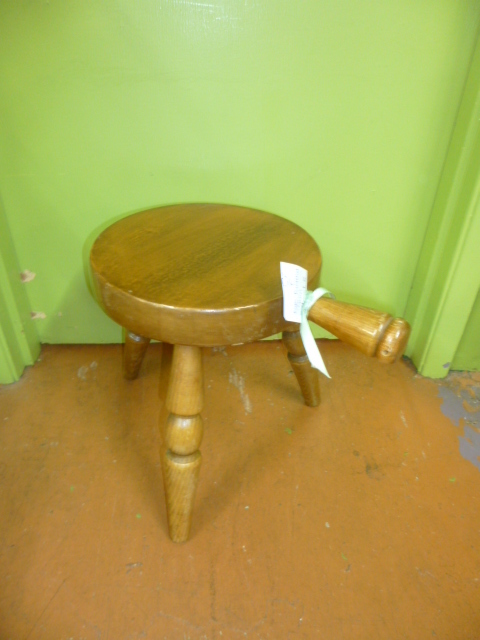 Little stools always sell well and are great to use to prop things up in your displays. 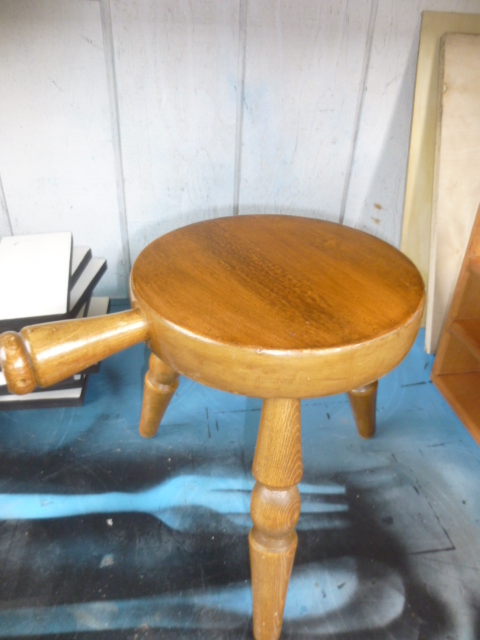 Classic three-legged milking stool. Will leave this one ‘as found’. This is the first pair of these shadow boxes that I’ve gotten with the scalloped edge. Normally I go for the plain ones, and I really ONLY buy them to use for adding height to my booth displays. But they sell well too! Just had to touch the paint up a tad on these, so I left them white. 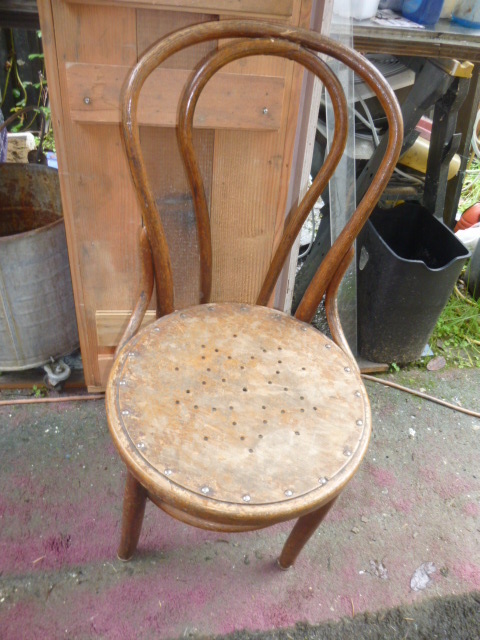 Found this fabulously grubby chair at STARS! 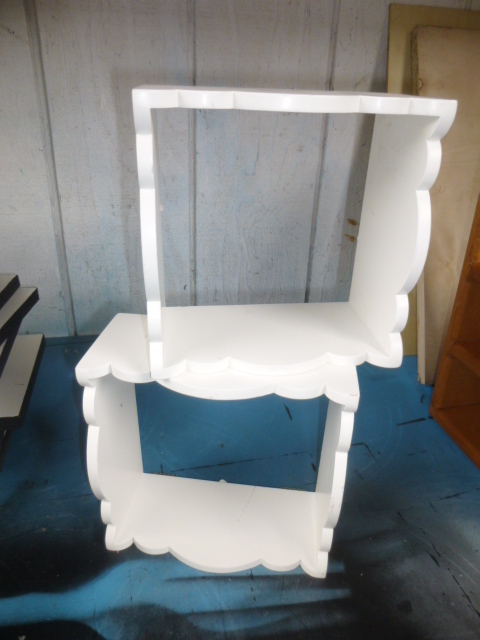 Love this ‘ice cream chair’ style backing AND that this one has a solid seat as opposed to the typical cane seat. Nothing against cane seats, except that OLD ones are always torn up! I might have to keep this one for myself! LOVE this crusty rusty big ole tool box!! 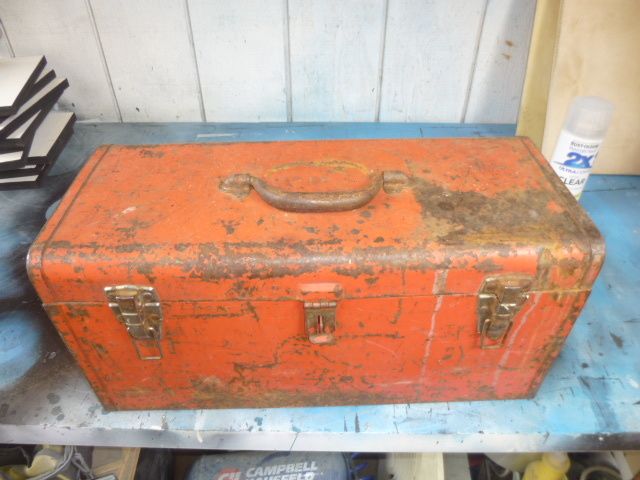 My first very own tool box was a small red one. I can’t even remember when or how I got rid of it? Probably passed it along to my son when he first moved out. This one is definitely a KEEPER!